Nisheedah DÃ©vrÃ© Golden (Sophie the Kettle), a graduate of the University of Central Arkansas, is a four-time winner of the Arkansas District Metropolitan Opera auditions and a four-time regional finalist. Some of Ms. Golden’s opera credits include Prince Orlofsky in Die Fledermaus, Miss Todd in The Old Maid and the Thief, Madame Flora in the Medium, chorus in Amahl and the Night Visitors and a concert version performance of Porgy and Bess. She made her international debut as Zita in Gianni Schicchi in Shanghai, China. Some of her professional theater credits include Bloody Mary in South Pacific, Missy in Purlie, Alice in Big River, Mrs. Enysford-Hill in My Fair Lady, The Auction Block, One Ninth, The Sound of Music, To Kill a Mockingbird, and Motormouth Maybelle in Hairspray. 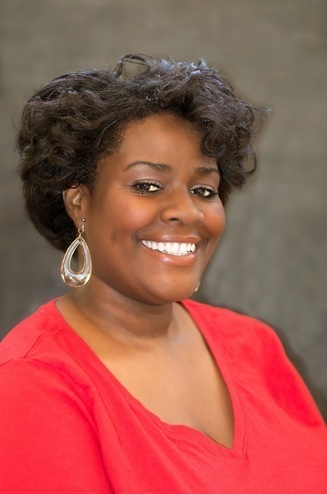 Currently, Ms. Golden is a resident singer with the professional Opera Company, Opera in the Rock, in Little Rock. She appeared in the chorus in their production of La Boheme. She has also performed with the Opera in the Rock Orchestra at their “Gala Concert,” singing in the quintet piece “The Promise of Living” from The Tender Land and “Bella figlia dell’amore” from Rigoletto. Ms. Golden has also appeared as the mezzo-soprano soloist in Beethoven’s 9th Symphony with the Hot Springs Orchestra, and as the mezzo soprano soloist in Beethoven’s Choral Fantasy with the Shanghai, China Orchestra.